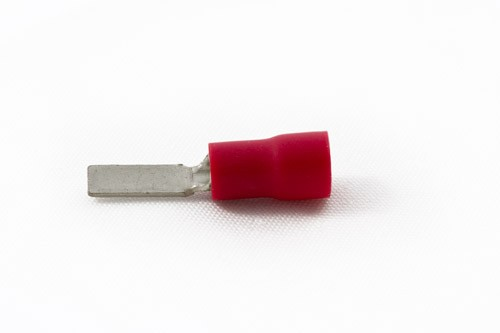 Blade Terminals can be used to connect standard wires with terminal blocks. Their high grade PVC insulation makes crimping easy whilst ensuring complete integrity of the termination. Available in Red.